Meng Wanzhou, the chief financial officer for Huawei Technologies, appeared in a B.C. courtroom this afternoon for a bail hearing where Crown lawyers argued she should be extradited to the United States because she had committed fraud by trying to hide her company’s connection to an Iranian telecom company. The Crown alleges that, in 2013, Ms. Weng told American banks that Huawei had no connection to a Hong Kong firm called Skycom that was reportedly doing business with Iranian telecom companies, when in fact Skycom effectively was a subsidiary of Huawei. “Ms. Meng personally represented to those banks that Skycom and Huawei were separate, when in fact they were not separate,” he said. “Skycom was Huawei,” argued Crown counsel John Gibb-Carsley. Ms. Meng was arrested last weekend at the Vancouver airport by Canadian authorities at the request of the United States. Members of the media crowd around an unidentified woman who was attending a bail hearing for Meng Wanzhou, the chief financial officer of Huawei Technologies, during a break in proceedings at B.C. Supreme Court in Vancouver, on Friday December 7, 2018. 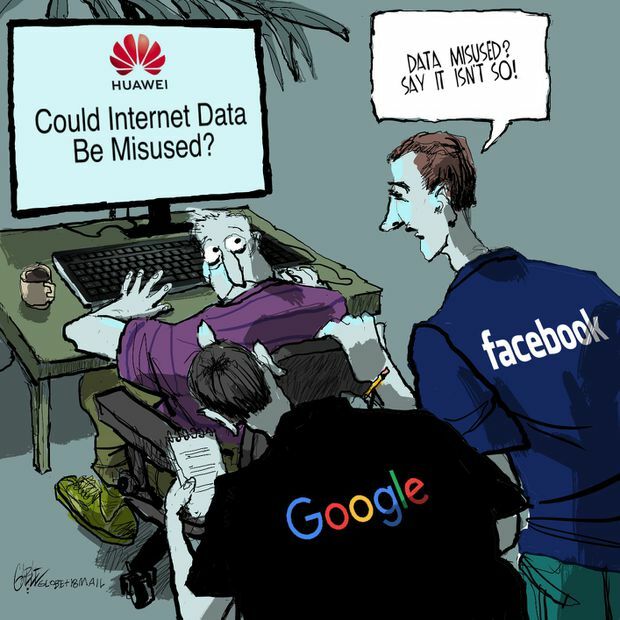 Meanwhile, former Prime Minister Steven Harper said he supports the U.S. campaign to persuade Canada to ban the use of Huawei equipment in next-generation telecommunications equipment. Mr. Harper told Fox News that during his final years as Prime Minister, he had become concerned about companies such as Huawei and another Chinese telecom-equipment manufacturer called ZTE. “These are organizations, ultimately tightly tied to the Chinese security apparatus, and we think there are some real, serious issues there,” Mr. Harper said. So, what does it all mean? We’ve published a few analytical pieces and explainers over the past few days, the most recent of which is from The Globe’s Asia correspondent, Nathan VanderKlippe, who explains how the growing friction around trade, telecommunications and now the arrest of Ms. Meng is part of a concerted effort by the United States to push back against China’s rising power. And Canada is caught in the middle. China, though, is not happy about Ms. Meng’s arrest, likening it to kidnapping. Some U.S companies are quietly discussing restricting travel to China because they’re concerned about retaliation against American firms and their executives. Be sure to check the Globe’s website this weekend as more details and reaction to the story surface. We’ll be updating our Huawei explainer as the story continues to develop in the next days and weeks. This is the daily Evening Update newsletter. If you’re reading this online, or received it from someone else, you can sign up for Evening Update and all Globe newsletters here. Have feedback? Let us know what you think. Good news on the jobs front. The unemployment rate dipped to a new all-time low as Canada added a record number of jobs in November. Statistics Canada reported a gain of 94,100 jobs on stronger full-time hiring and said the jobless rate had fallen to 5.6 per cent. Full-time jobs surged by 89,900 on stronger private sector hiring while part-time positions edged up by 4,100. Canada’s premiers arrived for the first ministers' meeting in Montreal today with myriad conflicting issues, all of which they’d like Prime Minister Justin Trudeau to address. In a brief opening statement during the main session Mr. Trudeau acknowledged the provinces' different agendas and said he’s willing to talk about whatever they want. “We have a lot of subjects to discuss and I want to give as much time as possible for discussions,” he said. U.S. President Donald Trump will nominate former U.S. Attorney-General William Barr to lead the Justice Department, a role he occupied from 1991 to 1993 under the late President George H.W. Bush. As head of the justice department, which he would assume from acting attorney-general Matthew Whitaker, he would be in charge of the federal probe into Russian election interference. Democrats on the Senate, which must confirm Mr. Barr, will press him over previous comments in which he said there is more reason to investigate potential wrongdoing by Hillary Clinton than there is to probe any potential collusion. Concerns over China-U.S. trade tensions gave European shares their worst week of losses in two months and pulled down North American stocks on Friday, overshadowing the lift from higher oil prices and jobs data. Canada’s jobs performance lead analysts to conclude the drop in unemployment should help ease the Bank of Canada’s worries about a recent economic slowdown. The Toronto Stock Exchange’s S&P/TSX composite index fell 141.87 points, or 0.95 per cent, to 14,795.13. On Wall Street, The Dow Jones Industrial Average fell 559.33 points, or 2.24 per cent, to 24,388.34, the S&P 500 lost 62.86 points, or 2.33 per cent, to 2,633.09 and the Nasdaq Composite dropped 219.01 points, or 3.05 per cent, to 6,969.25. 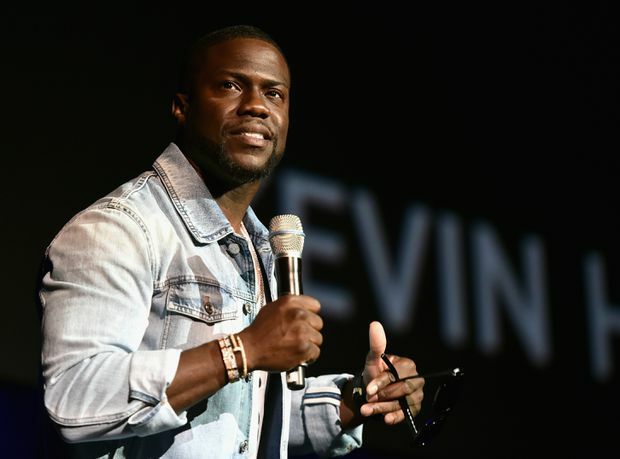 Comedian Kevin Hart has stepped down as host of the 2019 Academy Awards days after he was named as the host, due to the resurfacing of anti-LGBTQ tweets. Comedian Kevin Hart’s past has cost him a high-profile role at the Oscars. Two days after being named host of the Academy Awards, Mr. Hart announced he was stepping down after social media users shared some of his old homophobic tweets. “I sincerely apologize to the LGBTQ community for my insensitive words from my past,” wrote Mr. Hart in a Tweet this morning as he announced his withdrawal. What are some good books for wine beginners? Okay, sorry. It is Friday. Our food and nutrition columnist Leslie Beck tackles the question on everybody’s mind: Is it safe to eat romaine lettuce again? And how about kale? If the recent news about E. coli and Listeria contamination has left you scared to eat salad, or cooked greens, here’s what you need to know. This image released by Netflix shows Rohan Chand as Mowgli, right, and the character Bagheera, voiced by Christian Bale, in a scene from the film, "Mowgli: Legend of the Jungle," streaming on Netflix on Friday. So what’s on tonight? 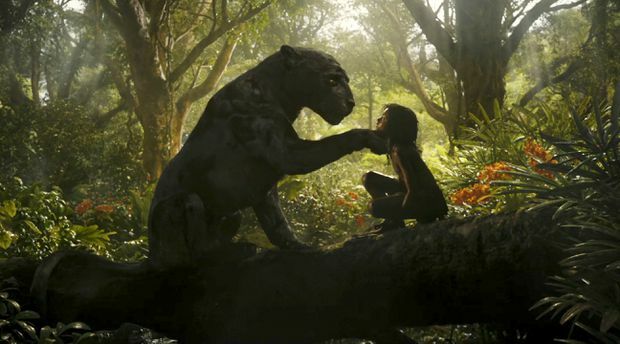 Barry Hertz has a review of the Netflix’s live-action Jungle Book remake: Too terrifying for children, too boring for adults and arriving far too soon after a nearly identical project, Andy Serkis’s Mowgli: Legend of the Jungle is a frustrating, fascinating mess. Evening Update is written by Michael Snider. If you’d like to receive this newsletter by e-mail every weekday evening, go here to sign up. If you have any feedback, send us a note.